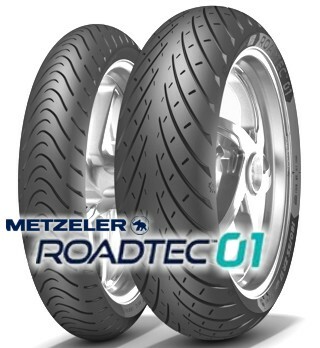 Tá an Roadtec 01 ina gathach spórt-spóirt go hiomlán nua a chuireann in ionad an Metzeler Roadtec Z8 Idirghníomhú measartha. Tagann sé i dhá leagan: múnla caighdeánach do spórt meáchain agus rothair turasóireachta, agus mar HWM do Gluaisrothair Meáchan Trom. Úsáideann an chéad tógáil dhá-phly ag an mbonn tosaigh, agus ply amháin ar chúl. Ó 2018 mar boinn trasphláta - Grip den scoth trí raon leathan de choinníollacha asfalt agus aimsire, cobhsaíocht fheabhsaithe, traíocht, cruinneas agus compord, caitheamh teasa laghdaithe, struchtúr tiúnta le stiftness agus solúbthacht athraitheach ar phróifíl na mbonn.